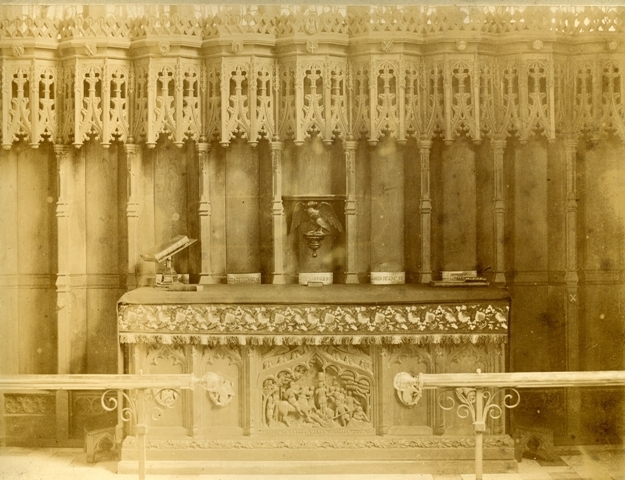 The altar at Deane is unique. 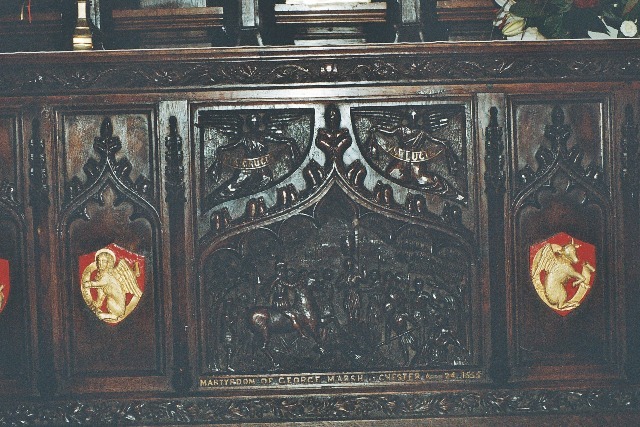 The frontal is of carved oak, the centre panel depicting "The Martyrdom of George Marsh, at Chester April 24th, 1555".... the scene being adapted from an old print. 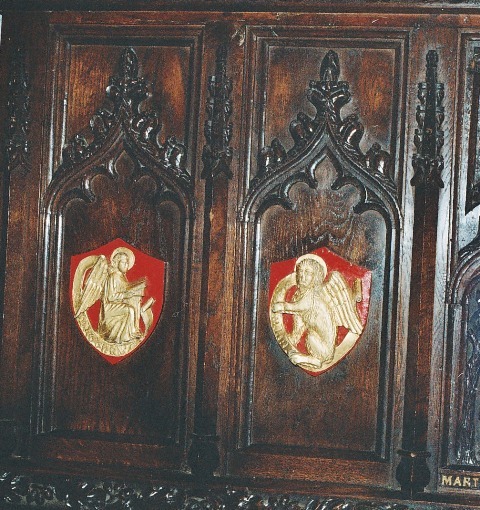 Above the martyr's head is shown the barrel of tar to which the records refer. Over the scene of martyrdom is carved, on two streamers, "Via crucis" and "Via lucis," that is, The way of the Cross, The way of Light. 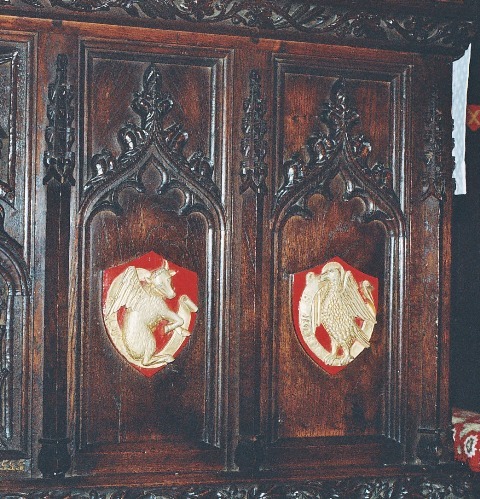 Over the panel is carved a small chalice and the design of a vine interwoven with ears of wheat.